Using Next Gen Stats player tracking technology, we have developed metrics to move beyond traditional box score statistics and derive insights to improve our analysis of individual performance. Expected Completion Percentage gives an indication of the level of difficulty of a quarterback's throws. 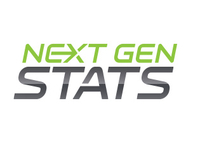 Next Gen Stats' new metric for the 2018 season, Completion Probability, seeks to improve on the limitations of raw box score statistics and is intended to contextualize passing and receiving performance. Welcome to the new frontier of football analytics. Welcome to the Next Gen Stats revolution. Since 2015, RFID tracking devices have been embedded in the shoulder pads of every NFL player. 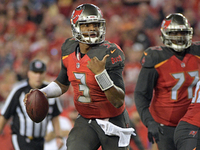 Jameis Winston has been disappointing this season, but his performance on Monday night against Atlanta showed signs of hope. Matt Harmon explains why with some Next Gen Stats. 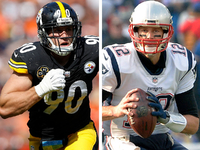 The Pittsburgh Steelers and a red-hot Antonio Brown to try and earn victory over Tom Brady and the New England Patriots in a battle for AFC supremacy. Matt Harmon uses Next Gen Stats to break down the top matchups to watch. 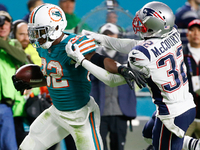 The Miami Dolphins stunned the New England Patriots on Monday night behind Kenyan Drake and Xavien Howard. Matt Harmon examines some Next Gen Stats behind the win. 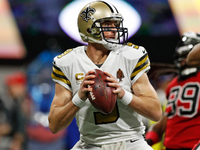 Saints running back Alvin Kamara was off to another fast start against the Falcons on Thursday before an injury sidelined him in the first quarter. His absence was a big blow for New Orleans.